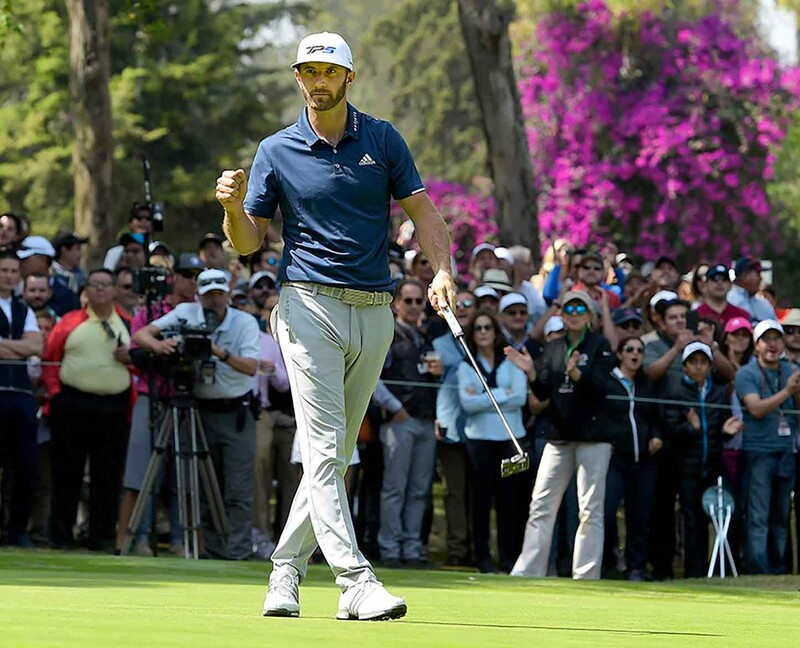 Dustin Johnson won again last weekend at the World Golf Championship event in Mexico City. He held off the challengers on Sunday and finished first, in spite of losing one ball in a tree, hitting into the water and stumbling on a couple of holes to suddenly fall from four ahead to one behind as rookie Jon Rahm had an eagle and two consecutive birdies. But Johnson kept his calm, playing solid golf to the end including a difficult long bunker shot on the 18th that found the centre of the green for two putts to win by one stroke. Johnson always appears to be one of the most relaxed, loose, emotion-less players on the PGA tour, even though he admits to nerves and in the past has blown some likely wins with mistakes on the last holes. But his recent successes and the resulting rise to World No. 1 are proof that he now keeps his cool and can recover from costly errors, rule anomalies and bad luck to focus on meeting the next challenge and making the shot. That attitude and approach are important to you and your business too. Consistency and strong performance are hard to maintain and disappointments can happen. Mistakes will be made, the competition will surprise you and conditions may add to the level of difficulty, but keep your focus on the goals and play to your strengths. Don’t let the obstacles distract you from your game and a high level of performance.